Add fun features for all ages to your outdoor living spaces! 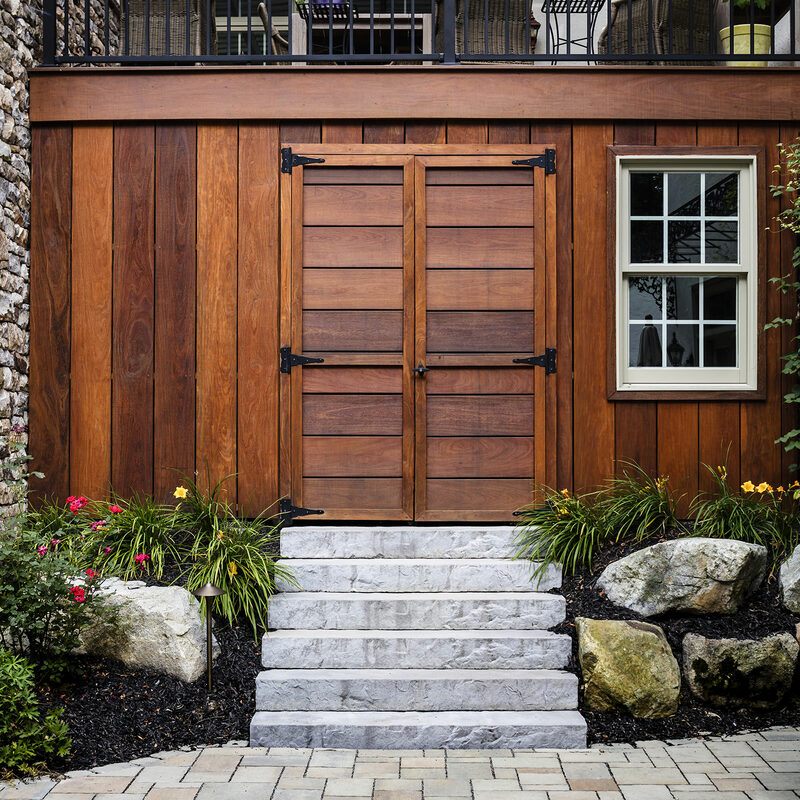 The sky truly is the limit when it comes to features to include in your outdoor living spaces. From inventive patios and decks, to aww-inspiring swimming pools and spas…if you dream it, it can be your reality! 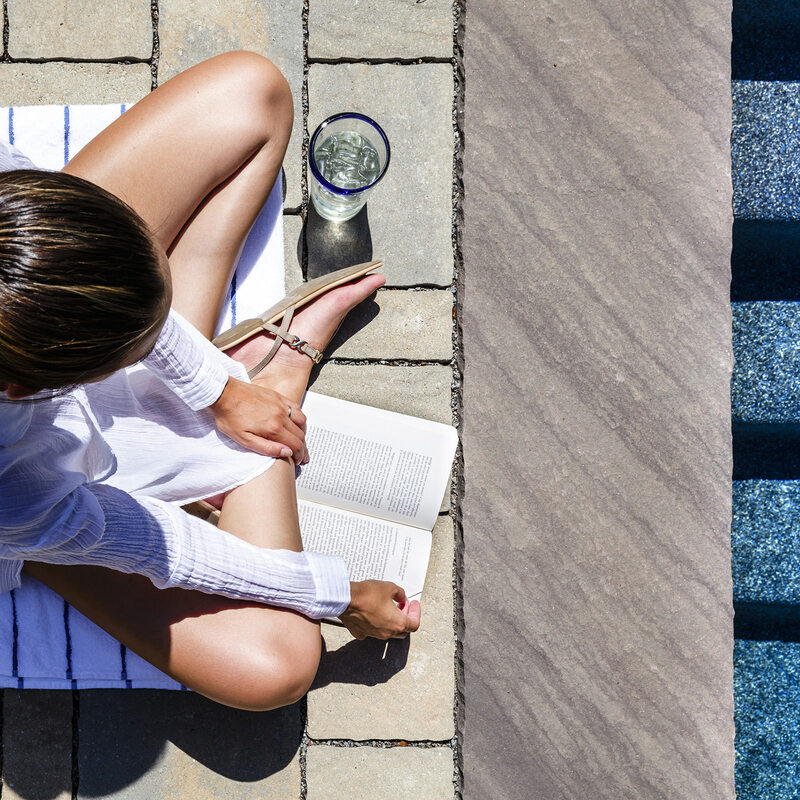 But what if you have an inner-child that just can’t be silenced, or you want to provide an extra-awesome backyard feature to blow common swing sets out of the water? 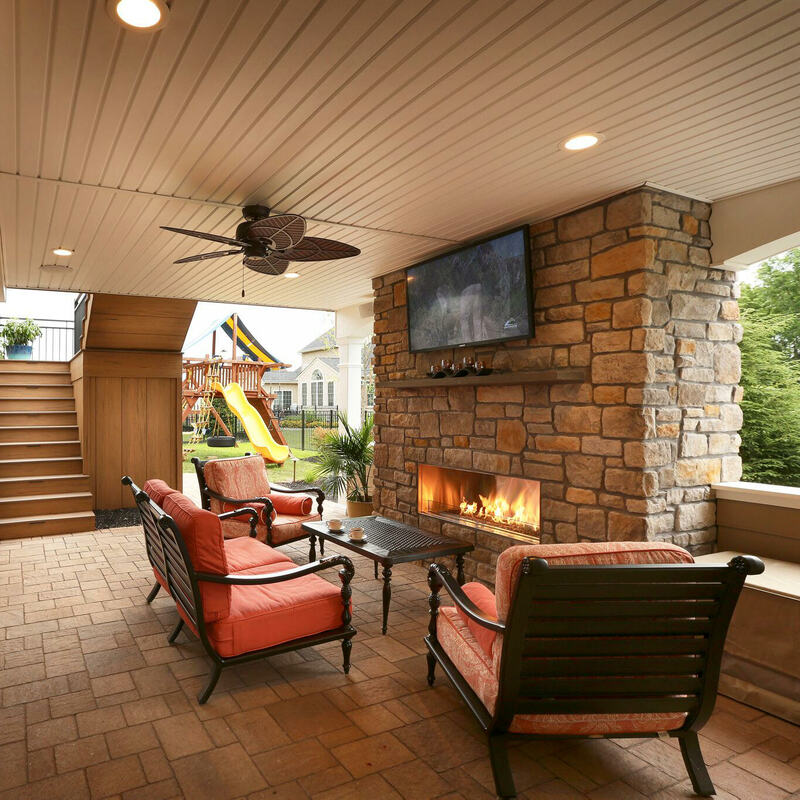 Having a beautiful outdoor living space does not mean that you have to sacrifice full-fledged fun! Moving leaps and bounds beyond diving board and fire pits (even though they are still a super entertaining), let your 10-year-old self take the reins and consider these out-of-the-box suggestions for fun backyard features that won’t soon be forgotten! No matter your age, there is no denying that slides are a good time. You will typically see slides as a part of a playset set off in the distance with the swings and the sandbox or incorporated into the deep end of your swimming pool. Do we dare to tell you another slide application for your back yard? Perhaps one of the most creative and unique implementations of a slide would be to build them off your deck! For every beautiful composite deck that is built there is a set of steps or staircase to go along with it, but you will find that adding a slide is an instant hit with the kiddos. They are usually rushing to get into the yard anyway, so why not help speed up the process! While adding a slide will require a more than bolting an 8’ plastic slide off one side of the deck, you may want to consult your landscape designer or a close contractor friend to aid in constructing the proper support system and to make sure the deck railing is safe and able to withstand constant tugging and pushing. After everything is safe and secure, you are free to go prepare yourself to accept the parent of the year award! Speaking of decks, do you have a plan for the space underneath? 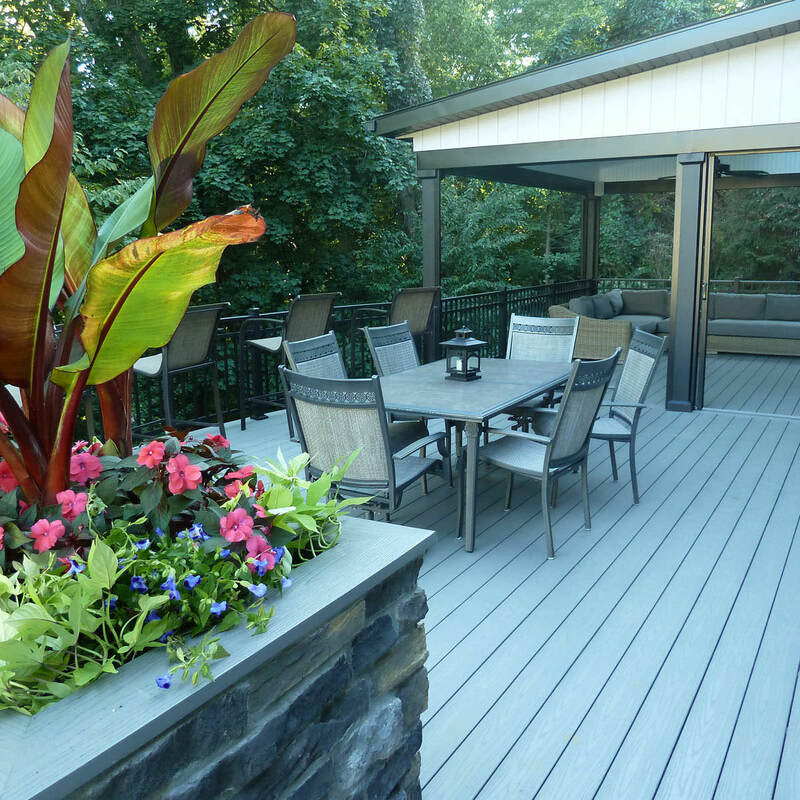 Many homeowners opt to install deck skirting around their deck to hide the unfinished space underneath, but if this space has a nice height clearance, this space has unlimited possibility! Why not have your kids travel down their new slide to their very own under-deck play space? Maybe the sandbox, playhouse or swings live under here…no matter what hanging feature you choose, if your deck is tied to the house, it should be able to withstand the weight load of a few kids climbing and swinging. Let your imagination, and your kids run wild in their very own play space…this is exactly how amazing childhood memories are made! Do you or your neighbor have one of those large trampolines that stick out in the yard like a big blue sore thumb? Granted, they are like built-in babysitters at times, but they really aren’t that attractive to look at on a daily basis. If you can’t seem to get past their landscape awkwardness, maybe you are the prime candidate for a sunken trampoline! That’s right, you heard it here first…sink that sucker! However, just as a slide off the deck requires careful planning, the same goes for sunken trampolines. While more involved, you will have to consult a professional for this installation to make sure everything is installed correctly and to keep safety as a top priority. More than just digging a hole and inserting the trampoline, you will need to properly plan for drainage, ventilation and the proper sealing around the edges. We can get into the details later, but for now, imagine how awesome it would be to open the yard back up while also keeping the kids happy…a true win/win! If you know a golfer, you know they can be laser-beam focused on playing as much golf as humanly possible until snow collects on the ground. And chances are, when your golfer is at home, they are thinking of golf anyway. Maybe there is a way to satiate their need to be on the links but also get the family involved. Adding a putting green to your backyard can actually be a nice addition to your landscape plan. Putting greens look beautiful, can fit in most any size location, and they are great for entertainment and practice. While you will need to invest in this feature to have it installed properly, in the long run, it will save the extra money that would be spent on gas getting to the golf course and practice fees, let alone saving the commute, leaving more time for chips and putts. This will also grant more availability and time to teach your kids how to play and provide an extra place in the yard to play and be goofy together! The smiles surely will speak for themselves. If your goal is to make your backyard your private oasis, you will need to think outside the box with your furniture and accessories as well! Hammocks are great, loungers are wonderful, but hanging and swinging chairs are just plain magic. The ultimate in relaxation, hanging chairs are also said to benefit your health as well. Some believe that hanging chairs reduce stress on your neck and back, relieving the pressure on your vertebrae, ultimately aiding in stress-free relaxation. Some homeowners opt for hanging chairs as a tension reliever as well! The swaying, swinging and rhythmic motions of the seating can be extremely peaceful and relaxing, offering a novel way to decompress from a stressful day. Look around, maybe you have the perfect place to implement this fresh seating option; just beware that while you look to these chairs for tranquility, your children may see them as another item to play with…you may have to fight them for it! 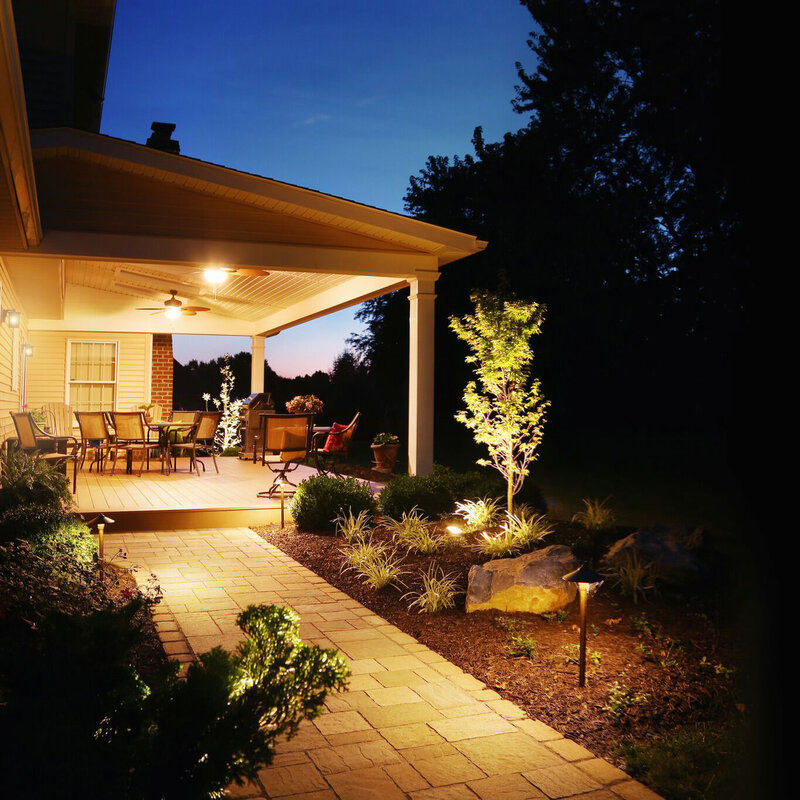 One of the most enjoyable parts of owning your own home is having the opportunity to provide a beautiful, functional and entertaining outdoor living space for your family. Being able to dream up creative features and transform them into a reality is a surefire way to impress and provide an amazing childhood for your kids (while also having a lot of fun yourself)! Even if a backyard zipline or ice hockey rink are too extreme for your lifestyle, there are plenty of options that will fit your family’s mold. 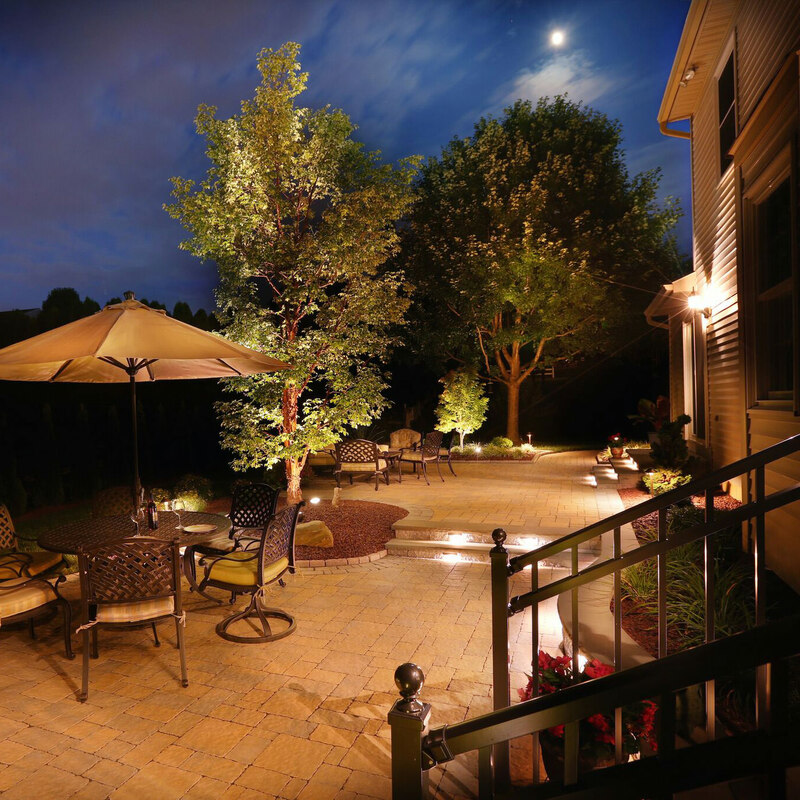 Reaching out to your landscape designer should be your first order of business when you want to implement thrilling features into the backyard. 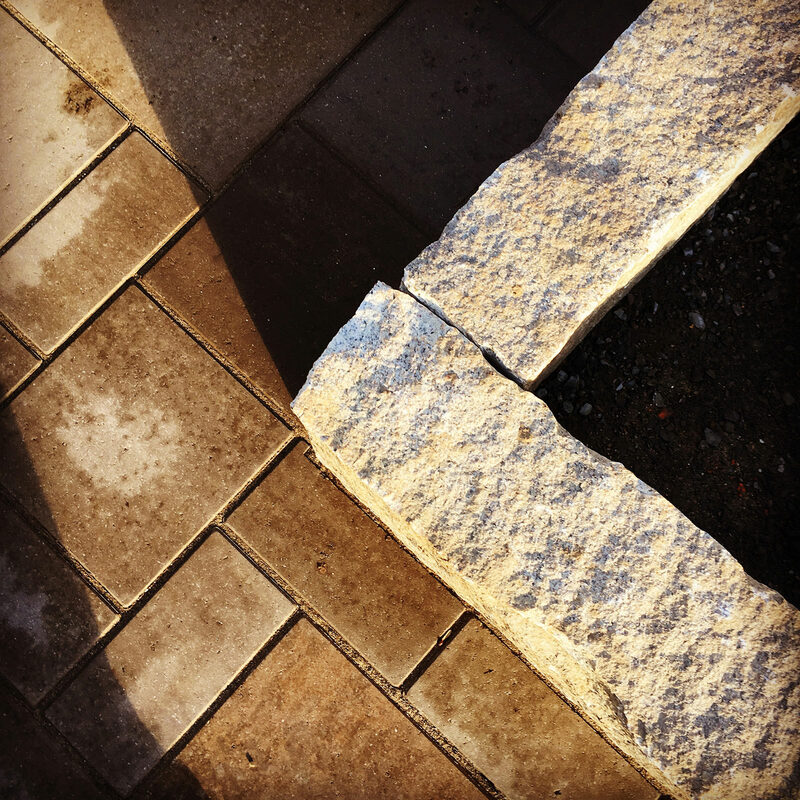 Your landscape designer will have the knowledge and experience to articulate your ideas to your township or engineer to see if any permits need to be pulled or any plans need to be created. 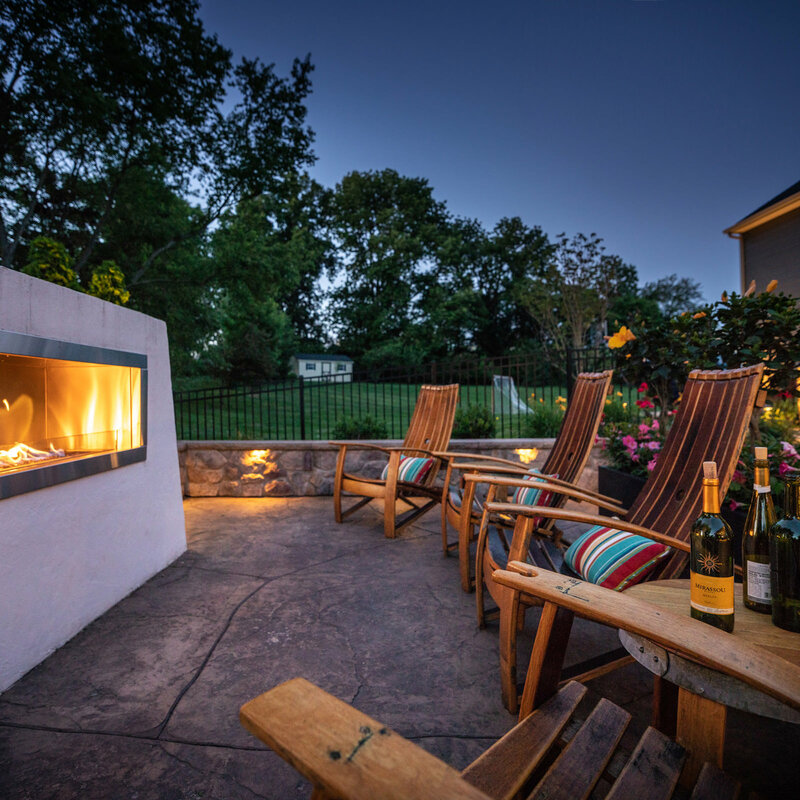 For those living in the Poconos, Lehigh Valley, through the Main Line of Philadelphia and western New Jersey, MasterPLAN Landscape Design would love to partner with your family to create a dynamite outdoor living experience! 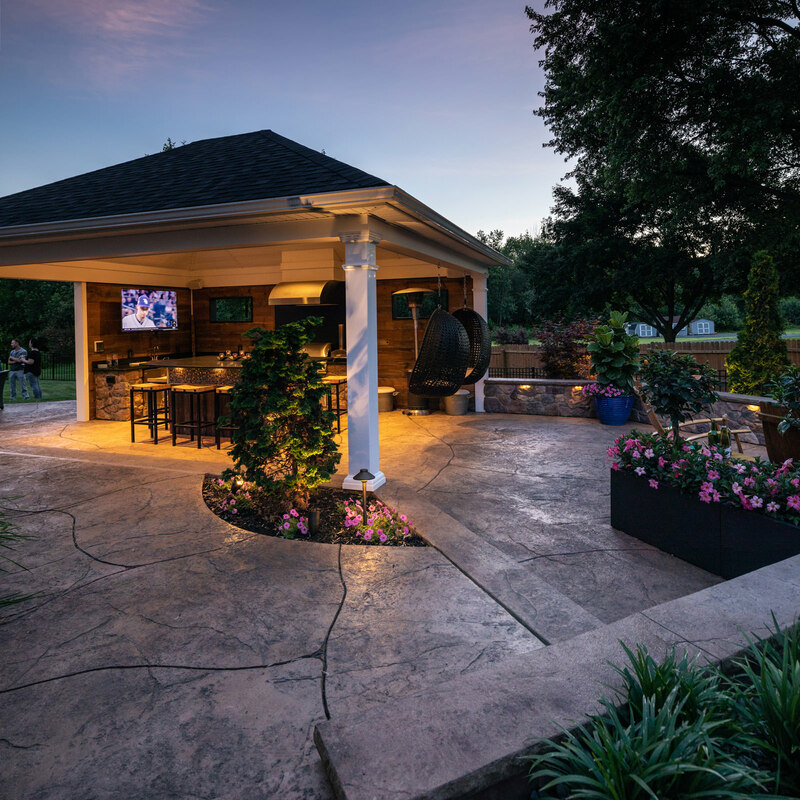 When you are ready to kick your backyard up a notch, reach out to MasterPLAN; we would love to discuss your outdoor living options and bring fun ideas to the table!